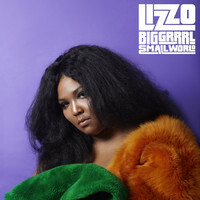 Two years on from her breakthrough LP, Lizzobangers, Melissa “Lizzo” Jefferson is back with Big GRRRL Small World. We caught up with the Minneapolis-based rapper to talk touring with Sleater-Kinney, working with Justin Vernon and battling unrealistic beauty standards with body positivity. So it’s been a pretty amazing year for you, what with the whole Sleater-Kinney tour. What were they like to tour with? Sleater-Kinney, they are... That was my favourite tour ever. They were so respectful and kind, and so amazingly impressive. We were just taking notes. When it comes to female empowerment and straight-up girl power, it’s beyond the genre at this point. It’s all about the message and the soul of what you’re performing, and the soul was there. I never, ever tried to hide that: I’ve always been very open about feminism. And it was a really cool tour to, like, have people in the crowd identify with me. It's everything. It's in the system. There's no safe space for a woman to feel beautiful and confident. Are we correct in thinking you postponed finishing Big GRRRL Small World because of the tour? It was all timing. Our focus was just to finish this record, and then we got the offer for Sleater-Kinney and we couldn’t not do that. BJ Burton – who executive produced – he and I we needed to find the right time to do it and I feel like April was way better, so, yeah, Sleater-Kinney didn’t postpone anything. If anything, it gave me more vocal experience and more things to write about. When do the majority of these songs date back from? I started writing it a long time ago. Ryan Olson – who produced Lizzobangers – and I had tonnes of demos. I think the first song that drove it home for me was ‘My Skin’. I had to take my clothes off to do an interview to talk about my body, which was crazy. So I did that and shortly after that I wrote ‘My Skin’, in the winter this year, and I finally found the purpose for the album. These were completed ideas. That song begins with a sample. Is that taken from the same interview? The idea of body positivity is integral to the record, and there’s a really interesting line in ‘My Skin’ where you say, “I see someone like me ashamed to be, and honestly I’m really fed up with it.” Can you tell us more? [It’s about ] whatever you don’t like about yourself. Say you have a friend with freckles and they’re always dissing their own freckles (which is insane: I love freckles and I don’t know why anyone would hate them). When they’re dissing their freckles, they’re dissing the idea of freckles. And they’re like, “No, yours are super-cute; mine are horrible,” but it’s like, no, they’re not: you’re just as beautiful. I feel like we’re taught to hate being ourselves. That’s one thing I’m noticing more and more and more; women will be like, “Oh my god, I look so fat.” And they’ll be way smaller than me, and I’m like, “Girl, if you’re fat, then what am I?” (Laughs) And they’ll be like, “No, you carry it well.” No! What you’re complaining about does not exist; it is created by someone else to make you feel this way. Where do you lay the blame for that? Is it the media? Is it the fashion industry? I don’t know. I mean, it’s something that specifically women have to deal with, for a number of reasons. If you even go back and read old fables and fairytales, the women are always described in these unbelievable ways. Even the Disney princesses that we were raised to admire had these unrealistic bodies, and then when we are watching television, we’re being sold things to make us look better all the time. It’s everything. It’s in the system. There’s no safe space for a woman to feel beautiful and confident. Maybe Dove. (Laughs) Maybe Dove commercials are the only place where we’re not being pummelled with signals to be better or to change ourselves. In practical terms, what do you think we can do to change that? Do you hope your music helps inspire wider conversations about the issue? My music is me venting; me having a conversation with you. That’s what I want to talk about. I don’t want to talk about Prada or Gucci, I don’t want to talk about, “Do I smell good?” (Laughs) No, I wanna talk about those things, so they’re gonna end up in my music. If I were an artist it would end up in my paintings. So that’s what that is. But in order to change it, I started with just loving myself, and making myself happy. It means I’m not out here purchasing these things that I saw on infomercials at night; I’m not out there using skin lighteners or hair relaxers. I just have to deal with myself. And then anything else that I do to myself to maintain my beauty standards will be on me, you know? Are there any other messages that you’d like listeners to take away from this album? Body positivity I always felt was second to the main message of me. The biggest thing about this record is that I have changed, and the music is going to reflect that, or else you don’t want to hear what I have to say. And it’s a promise that I’m gonna change again or else I’m not chasing new experiences. I want the listener to be on that journey with me. On ‘Bother Me’ you switch up styles half way through. Can you tell us more about the composition of that song? 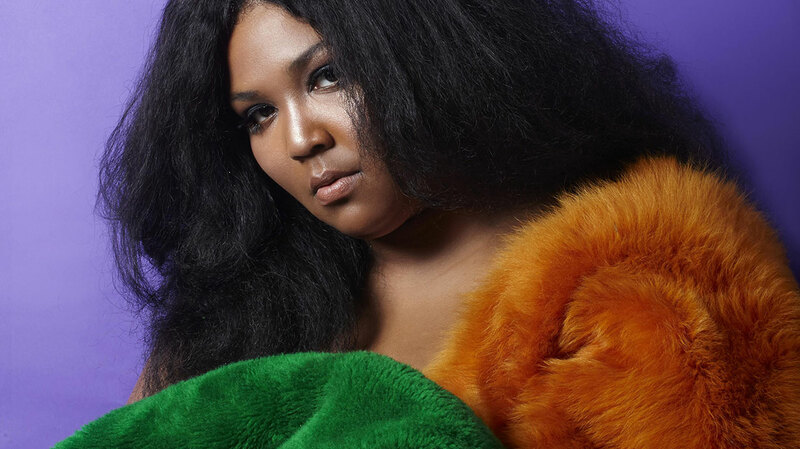 But the first half of ‘Bother Me’ is full-on cocky Lizzo, where I’m just like, “Yeahhh”, you know? I’d just gone to Paris and I was about to go see Lionel Richie, (laughs) and we used that as a sample on the song. And then BJ and I had this moment in the studio where we realised the song was too short, so we found the Justin Vernon piece and put them together. It was a huge risk, because we were like, “How are we going to make this sound good?” And by the power of BJ and I, we did it and I’m super-proud of ‘Bother Me’. I feel like it describes me to a tee: the dichotomy of the different sides of a woman who is in my industry, who has to be a boss and bury her vulnerability. But when you bury it, it comes popping right back up. How do you feel you’ve changed as an artist since Lizzobangers? I knew exactly what I wanted. Before I was like, “Wow, look at this crazy industry; look at this world of music, that I just had no idea I’d ever be in.” You know, I always thought I’d be on a very, very, low, low, low, low-level indie label, just making music as a hobby. And then all of a sudden – after extensive touring – my eyes were on the prize and I just went for it. I have BJ to thank for that; he helped me. But I feel like a woman who knows what she wants is a pivotal turning point in her life, and that’s where I’m at now. This record is the thesis of what I want, of who I am right now. And I’m really proud of it. The album title appears in two songs on the last record. What is it about that phrase that resonates with you? Having released your last album through Justin Vernon’s label, Totally Gross National Product, why did you decide to release this one through your own imprint? Everyone at Totally Gross, I love them a lot. They are crucial to where I am now, and I think they’re really, really cool. But where I was, I wanted to be able to have the true experiences as an artist, and ownership over the music was big for me. Ryan Olson as a curator, as well: he is the reason why [Lizzobangers] exists. He executive produced it, he was there every step of the way, holding my hand, pulling me over the lilypad, you know? And this record was a little bit different. When it comes to being on a label, that type of exposure really doesn’t matter to me. What matters to me is who owns my music, and I felt like this time I just wanted to own it. And I’m going to. Post-album release, what’s your plan? Will you be touring? Yes, I definitely want to tour. I want to come back to the UK so bad. We were there more than we were touring in the States. There is this very special place in our hearts for the UK and France. So the plan is just do what we did with Lizzobangers and tour super-hard. And if you don’t love [the album] it’s fine: there are so many other artists out there – like Adele – that you could listen to. (Laughs) But people who love this, we want to make sure that they get to feel it live.